Apple considering buying Barnes & Noble, iTunes 11 to support iBooks? Apple considering buying Barnes & Noble, iTunes 11 to support reading iBooks? 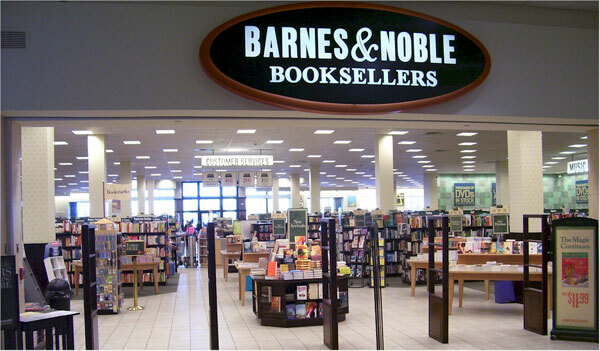 Apple may be considering a move to purchase book retailer giant Barnes & Noble, according to an “unproven” BGR tipster. The alleged discussions are purely internal and speculative at this time. Incorporating Barnes & Nobles massive library of digital books into the iBooks store would make a huge different to the quality of Apple’s offering, which has been somewhat weak in comparison. Apple would also be able to take the NOOK out of play. It’s hard to imagine this would make much of a difference for the iPad: if there’s any competition between tablets and the single-use eReader market, it is generally flowing in Apple’s direction. I myself bought an iPad to become a primary reading device. BRG’s tipster, who — it should be said again — is an unproven source also suggested that we’ll see a September release of iTunes 11 with iOS 5 and iCloud. The release of iOS 5 and iCloud alongside the rumored September iPhone 5 release would make sense, but there’s no corroborating evidence for an iTunes 11 release. iTunes 10.5 is as high as current developer betas go and includes iOS 5 support. This supposed version of iTunes 11 would allow users to read their eBooks from within iTunes, not requiring them to transfer them to their iOS devices in order to check them out — a feature that probably should have come out with iBooks. Read next: Despite uproar, the market didn't care that Bob Parsons shot an elephant.